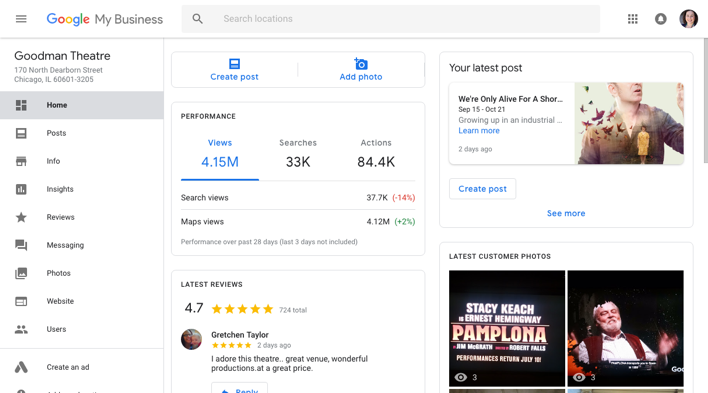 Rolled out in 2014 as a replacement for Google Places, Google My Business (GMB) offers businesses a free suite of tools to engage with customers while they’re using Google Search. It’s a way for businesses to make their organic search results more accurate, prominent and interactive for your customers. You can post photos and video, news updates, create event listings, spotlight specific products and even enable live chat for customer service inquiries. 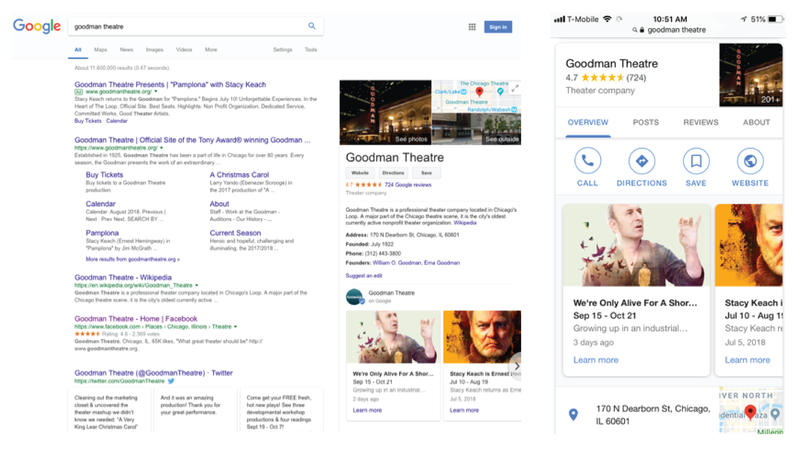 With the added ability to monitor customer reviews, Google is clearly positioning GMB to compete with similar services like TripAdvisor and Yelp. When a user searches for your organization online, the GMB listing appears in the right-hand column of the page next to the search results on desktop. On mobile GMB listings are even more prominent and are placed above organic search results. Once you claim your listing, GMB allows the owner to update all the information including phone numbers, business hours, and additional institutional details. You can also log into a dashboard for analytics on how often your listing is viewed and how visitors are engaging with the content. In early June, Google rolled out a new feature allowing business owners to post special offers directly to GMB listings. As any good marketer, I was curious how much our patrons would #1 notice, and #2 use a discount found via Google search results. I also happened to have the perfect show to test it with: Support Group for Men, a world premiere comedy. 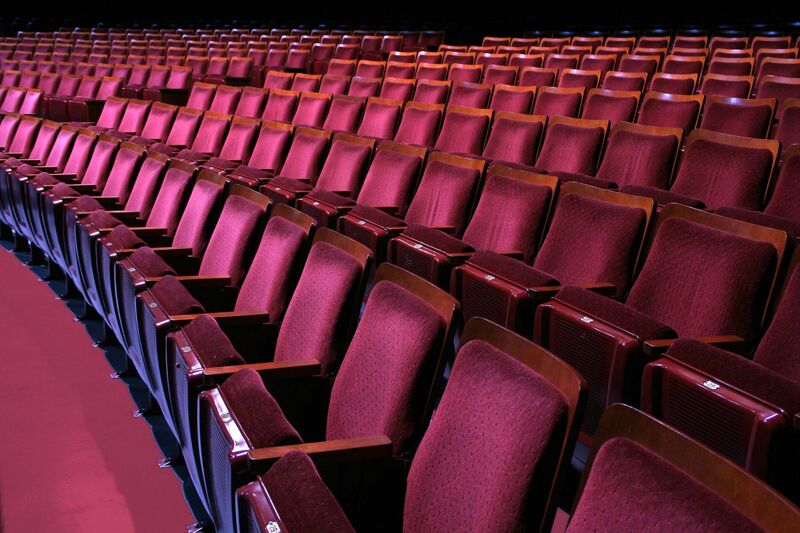 The production featured a local cast and strong audience and critical reviews but didn’t have any famous names that would typically increase ticket sales. 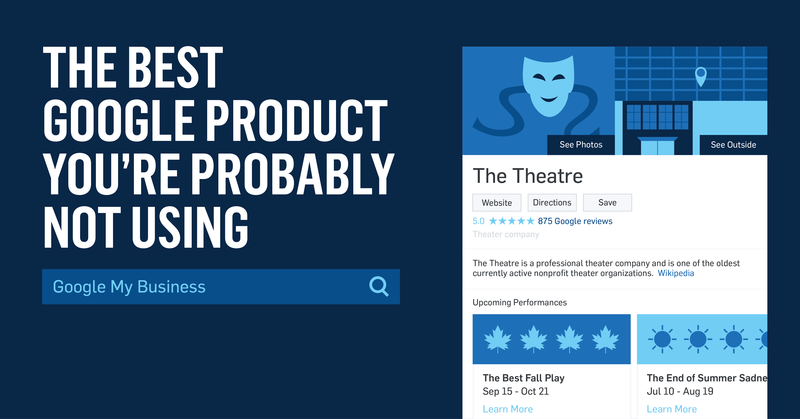 Since a guaranteed, fun evening and an affordable ticket price were our key messages for this production, I posted an exclusive GMB promo code promoting $30 tickets to the “laugh-out-loud funny” play. During the two week period that the offer was highlighted on our GMB account, the offer was viewed 16.4K times and the promo code brought in 82 transactions for 178 tickets sold and over $6,400 in revenue. Since this specific code was shared exclusively on GMB we know that the code was used by patrons who saw it while searching on Google or were told about it by a friend. The best part about this experiment? It was FREE. We paid for similar offers to be placed in travel eblasts, on the radio, and through partner organizations, but none of them generated as many sales as the GMB promotion. The GMB offer came in second only to the discount we promoted on Facebook as part of our overall digital advertising campaign. Similar promoted posts on Facebook had CPAs (cost per acquisition) ranging from $13 - $24. We can estimate that if this were a paid advertisement it would have cost us around $2,000. So before the final weeks of summer slip by, take some time to upgrade your Google My Business listing and create your own experiments! Since claiming your listing involves getting a real postcard mailed to your address, it can take a few weeks to process. Get started now. Gabriela Jirasek is the Director of Digital Strategy at the Goodman Theatre in Chicago.